Ok, I know I'm several days late with this... but last week was rough around here, so please forgive me. One of the issues we faced was a dying alternator. Yeah, the part that recharges your battery so your car starts again, that alternator! This is 4-H season at our house. For any of you that participate in 4-H you'll know what that means: meetings, project workshops, and our favorite: trips to the range for Shooting Sports. Without our quality mechanics to get the vehicle repaired, all of that would have ground to a halt. Thankfully, they got the parts in and had us up and running the next afternoon- YEA! So, if you've got a favorite mechanic, remember to say "Thank You!" If you need a good mechanic, and you live near Anderson, IN, call Riley and Sons at 765-649-4902, they have a whole garage full of great guys! I have seen lots and lots of writing curriculums focused on research papers, book analysis, creative writing exercises, and short stories, but this is the first one I've seen that focuses on writing a long work of fiction. Emily and I have been reviewing Writing Fiction [In High School] from Writing with Sharon Watson as part of the Schoolhouse Review Crew. Emily has been doing most of the work, I've just been getting the benefit of hearing her story develop. I appreciated how the chapters on "Theme" and "Plot" don't come until after the students have learned about other necessities like "Characters and Characterization,""Conflict," and "Dialogue." Many students seem to have the assumption that all they need is an idea to write a good story. Sharon Watson helps them understand the building blocks that turn an idea into a great story. We also received the Teacher's Guide, which at 76 pages retails for $9.95. As the website mentions, the Teacher's Guide "Equips you to be as involved as you care to be." In Emily's first few chapters, I haven't needed to refer to the Teacher's Guide, but I have looked it over and seen how valuable it would be for parents whose students are not able to meet in a writer's group to discuss their assignments. It can help the parent with an overview of the assignments to discuss, without consuming a lot of planning time. It also includes your own handy copy of the "Proofreading Marks" page, so you need not always be borrowing your student's book! There are several exercises that use outside materials (such as a newspaper, a scene from a movie, or a book from the library) in order to help the students understand each concept. Parents can preview these in case they want to make any adjustments for a particular exercise. All of these are listed in the Teacher's Guide on page 3. Emily's writing group consists of some of her friends she sees regularly at church, and a friend she can call and discuss ideas with whenever needed. While using the book, I have seen Emily stretched in her writing to try new things. Sometimes she struggles with a particular exercise. Usually it is not that the exercise is too difficult, but because Emily thinks it hasn't turned out as well as what she did earlier in the week, she is frustrated. Some things are just more difficult to write. Emily has been doing the extra assignments for those with a work of fiction in progress. Sometimes her fictional work gets several pages done a week, sometimes it is significantly less because she has spent time ruminating on the lessons and isn't ready to proceed yet. It is fun to listen to her ideas developing into a story. Many of the main characters resemble her friends. This makes a lot of sense, since chapter one talked a lot about how quality fiction sounds believeable, almost like real life. If your student is not the self-starter type, you will need to check the Teacher's Guide every day or two to make sure they are actually completing the assignments. Since Emily always wants to tell me what has happened in her story, I had an easy time keeping track of her work. I have appreciated this book, and I'm sure Emily has had a lot of fun with it. Since we spent most of the year working on research papers, she was definitely ready for a change of pace. It should be obvious from the title that this is geared for High Schoolers. If you have an advanced Eighth grader, I could see using this as advanced High School credit. Within the thirteen chapters, there is a lot of variability in length and number of exercises, so if your student is not used to self-pacing their work, you may want to help them plan out how much to accomplish each week to make sure they finish in a year. This book would be excellent for a co-op or private school, as long as the students can be scheduled for both semesters, as it is really too much to try to cram into one semester. If you and your student follow the teaching in the book, I believe you will both be pleasantly surprised by the improvement in their writing, whether or not they ever want to write a novel. 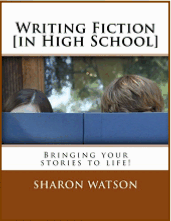 Writing Fiction [in High School] By Sharon Watson is an excellent book to have if you want to learn to write, no matter what your age. It’s fun to read, makes things understandable, and all of the exercises include sitting down to write. Each chapter talks about a different, but important, part of your story. Parts like opening sentences to hook your reader, characters and their traits and attitudes, the position of your narrator (and what your characters do because of this), and different styles of writing, including fairy tales. All of the exercises pertain to the lesson and build off of what you’ve already learned in that chapter. Plus, there are exercises to test what you know by having you pick out different parts from different paragraphs, from different books. 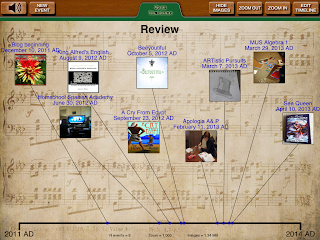 It gives samples from different authors to compare them to each other as well as your own writing. 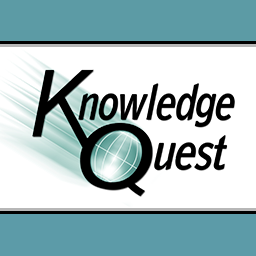 This course has you start to read The Last Book in the Universe, by Rodman Philbrick, in chapter one and wants you to finish it by chapter four to use as a reference for writing throughout the rest of the book. The curriculum is written for groups and classes for you to get feedback from other people. But if you are doing it on your own, you will want to have at least one family member or friend to read what you write for both positive feedback and criticism. 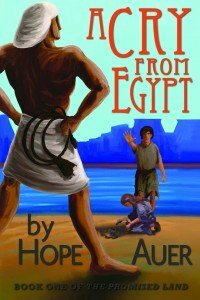 Many of you will remember that last Fall Arlene and I reviewed the book "A Cry From Egypt" by Hope Auer. If you missed that post, just click here and you'll have a chance to read our review. Arlene and I are excited to announce that Hope has graciously offered to send a signed copy of her book to our giveaway winner! Arlene and I were both impressed by "A Cry From Egypt." Arlene thought it especially cool that Hope had been homeschooled too! When she finished the book, Arlene's response was "I like it! When's the next book coming out?" As a Mom who doesn't always have time to look up everything my girls are interested in and research it myself, I appreciated that Hope included several pages in the back of the book about her research, and website information for our use. So what are you waiting for? Click the giveaway below, get your family entered, and tell your friends! The giveaway ends Saturday, May 4th, 2013. I am thankful for Spring! Sometimes here in Indiana, it comes and goes, 80 degrees one day, 40's the next, 50's or 60's the day after that. Yet, I can know that eventually it will warm up and stay warm. I like the seasons, I like the changes that take place all around us, but I like Spring the best. We've had a wet week...a lot of Indiana is still looking at flooding all around them, yet I rejoice in knowing that God promised Noah He would never flood the whole earth again, and I'm resting in that promise. I've seen the pictures of some of my friends' lake-front yards, in a few weeks, it'll be lush green grass, but today?! Know that God wants to work a change in your heart. Spring is an outward sign of renewal, let God renew your heart. Let Spring be the time when you are thankful for all of God's promises. Share them with others, rest in the peace that only God can give. Be thankful for Spring, whether it is 70 and sunny, or 40 and snowing... renewal is just around the corner! Learning should be fun, but the reality is sometimes learning is hard work. That often takes the fun out of learning something new. In our home, we all enjoy the times when learning CAN be more fun than work. 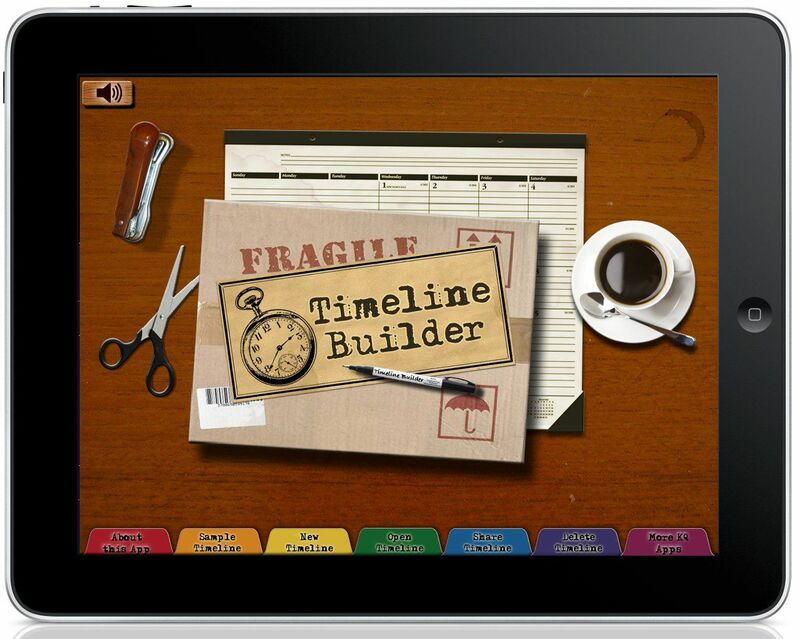 As part of the Schoolhouse Crew, we have been reviewing the TimelineBuilder App from KnowledgeQuest, which combines learning with fun. 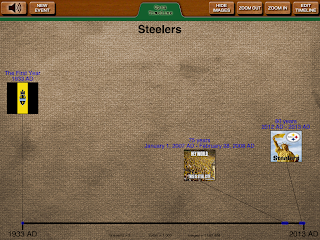 All four of us have taken turns using this iPad app. One of the beauties of this app is that it is highly customizable. 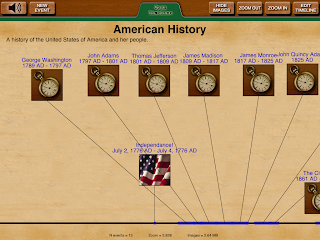 It is relatively easy to create a new timeline. 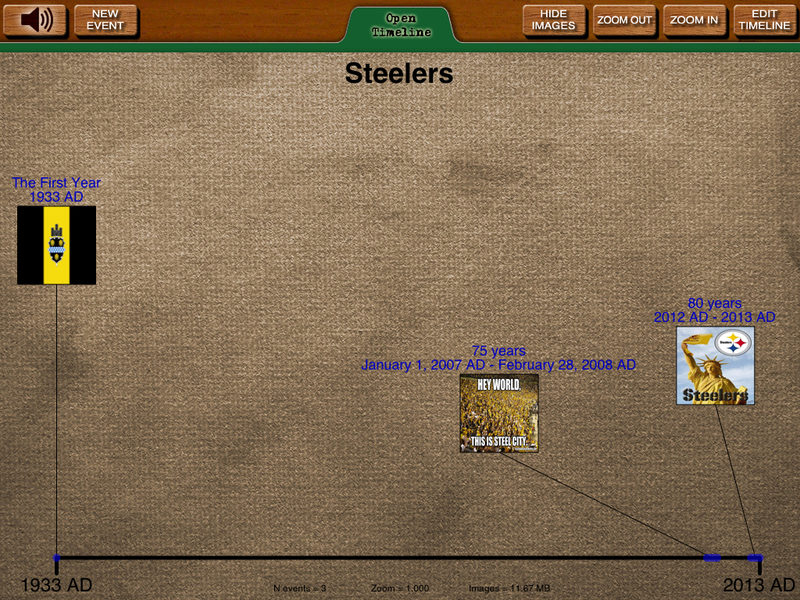 A great attribute is that this is NOT your regular history-events-only timeline. You can use the feature that lets you search Wikipedia for photos to add to the timeline, or you can choose to use your own photos. You also get the option of entering a description of the event, along with starting AND ending dates. Right now, this app is quite reasonably priced at $4.99. (That is an introductory price, later, it is scheduled to cost $6.99.) For all that it can do, I would expect it to cost $19.95 or more. There are 5 great ways to share your timelines once they are made. 1-Save timeline images to photos, 2-Save event images to photos, 3- Send timeline to email, 4- Send events to email, and 5-Save event descriptions and timeline event images to folder for file sharing in iTunes. You may be wondering, how does all that sharing work, and what do the timelines really look like? Below you will find examples from our family's timelines. Notice that there are several different backgrounds to choose from. We each picked our own. 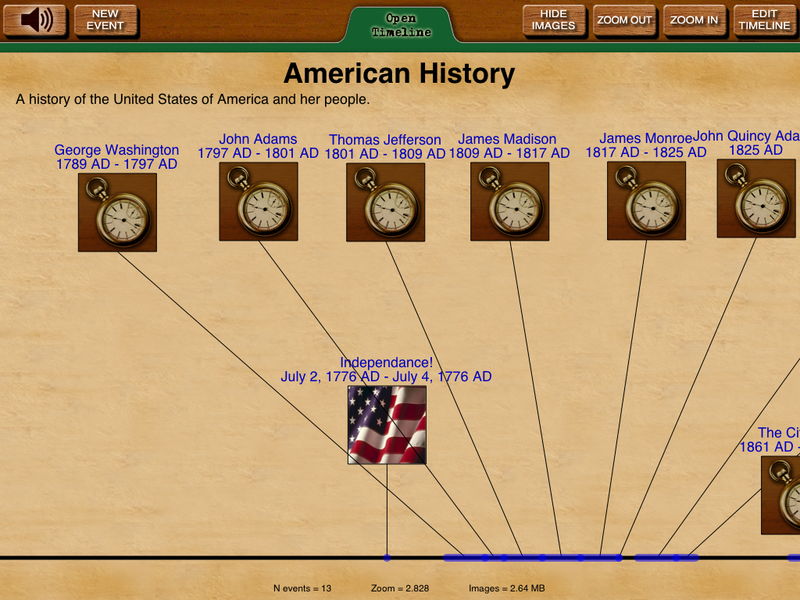 This new KQ TimelineBuilder iPad app is so cool! A history of the United States of America and her people. Business men came to America from England looking for gold to sell to the richer society of London. Only men go on this trip but soon class, religion, economical status, and skin color are forgotten as they fight to survive in this new, harsh land. Puritans, fleeing from religious persecution in England, sail to the new world. After a long, three month trip they arrive in what would become known as Massachusetts bay Colony. After a long, hard winter that kills many of their people, they receive help from local Indians, who help them survive, leading to the feast we now call the first Thanksgiving. You also receive the picture of the timeline, divided up into 'tiles' so you can see the whole panaorama. The only thing we haven't figured out yet, is how to turn the background music off...good thing the iPad has a mute option. The music is cute at the start, but repetitive if you're working on your timeline for a while. A few key points to know about the app: it will do what you tell it to... so make sure you are paying attention to the BC or AD after your dates! I accidentally told it my blog started in 2011 BC- oops! Yeah, I corrected that one! You can choose pictures from either Wikipedia, or your own photos, but the app will warn you if it is an excessively large file, and has options for you to choose to reduce the size of the file, do some experimenting with this and you will find the size that works best for you. The app has a learning curve, but it also has a Sample Timeline to show you how to do the customization before you start on your "masterpiece!" We really enjoyed the app, and plan to continue using it. 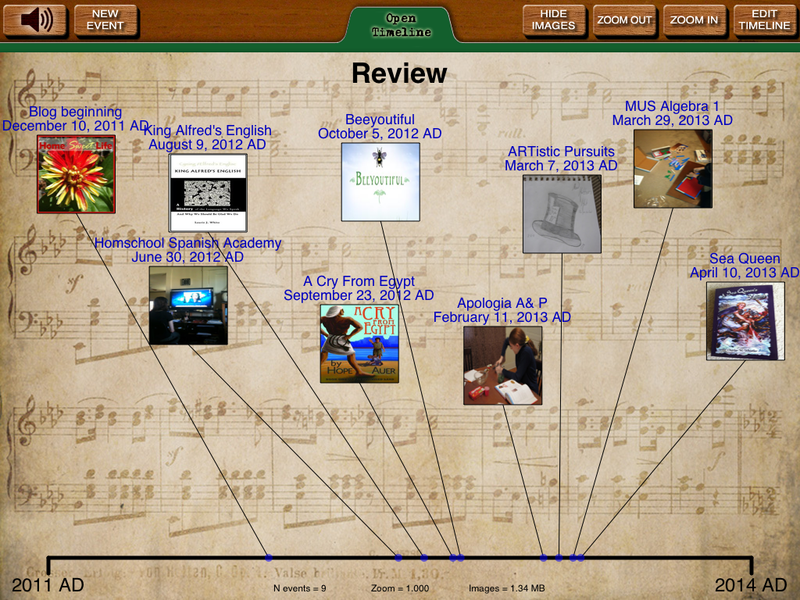 Emily, Arlene and I are planning to use it to make a timeline for 4-H judging this summer. Then we can e-mail it to Kurt, so will know where we are & why. Get the app for your family, and be creative! The world we live in is full of fallen, sinful people. How our sinfulness manifests itself, and whether or not we are controlled by our sinful nature, or by Christ's redeeming self, is shown through our daily words and deeds. Today, in Boston, evil presented itself. Tragedy can strike at anytime, the question I keep asking my heavy heart is this: How prepared am I to deal with tragedy? Tragedy that might happen to my family, or to someone we know and love. I don't go looking for tragedy, in fact, I try to find the good in everything. Yet still, a part of my heart hurts for those families, those friends, that city. We watched some of the tv footage. The good I found was the response of the people, being willing to help those around them. The newspeople talked about Doctors and Nurses who had just finished running the marathon, or who were there cheering on their own family and friends who stepped out, and stepped up to help. I am sure none of the runners got up this morning thinking about tragedy. They got up, and got moving, they double and triple-checked their shoes, their running clothes, their race info. Tonight, some of them are focused on the tragedy that unfolded around them. Others are still in shock. Pray for them. Pray for yourselves as well. Pray that you would be a light shining in this dark world. Showing others the love of Jesus, the only true hope we have. Pray, pray, and pray some more. Love, help, and love some more. You may not live in Boston, but you can still be a comfort to hurting people, a strong hand that reaches out to help. Don't wait for a tragedy to strike to motivate you. Be the hands and feet of Jesus. Today, and always. Today I am thankful it is Spring, and time to get back out into my garden! Earlier this week it finally warmed up and felt like Spring, a couple days where you didn't need your jacket, and one day when we all wore shorts! Today it is cooler, but that is just a reminder to NOT start everything at once in my gardens. I have learned a lot from God while tending my gardens over the years. Gardening helps me understand God's creativity, His designing of the Universe, and the natural timing of life. Gardening reminds me that God's timing is perfect, even when I don't understand it. I have been gardening for 35 years, yet it still amazes me how a seed can be planted in the dirt, and emerge to bring forth a new plant, which can grow, mature, and bear fruit. One of my favorite songs has always been "In the Garden." Although many people only sing it around Easter, I sing it year-round. My garden is a place of hard work, and refuge from the world around me. If I've had a particularly difficult week, you can find me taking my frustrations out on the weeds, or by turning a patch of grass into a tillable area. Sometimes my garden is simply soothing. I work lovingly around the plants, weeding, watering, tying up the tomatoes, and listening to the birds sing. Sometimes we just sit and marvel at the ants, or the giant earthworms. Each day in the garden is different. Each day brings a new lesson, and usually a new joy. I know some of my friends are not the gardening type, that's OK, I know they find creative expression in other ways. Whatever your method of expressing your God-given creativity, find some time to enjoy it, and time with God, this weekend! You'll be thankful you did! Somedays you just want to read a good book. The trouble often sets in when you don't have one picked out yet, and amongst the thousands of choices at the bookstore, your library, and online, you end up spending more time searching for a quality book than actually reading one. I have found a solution. Arlene and I received "A Sea-Queen's Sailing" to review from Salem Ridge Press. Salem Ridge press's goal is to republish quality wholesome books for your family to enjoy. 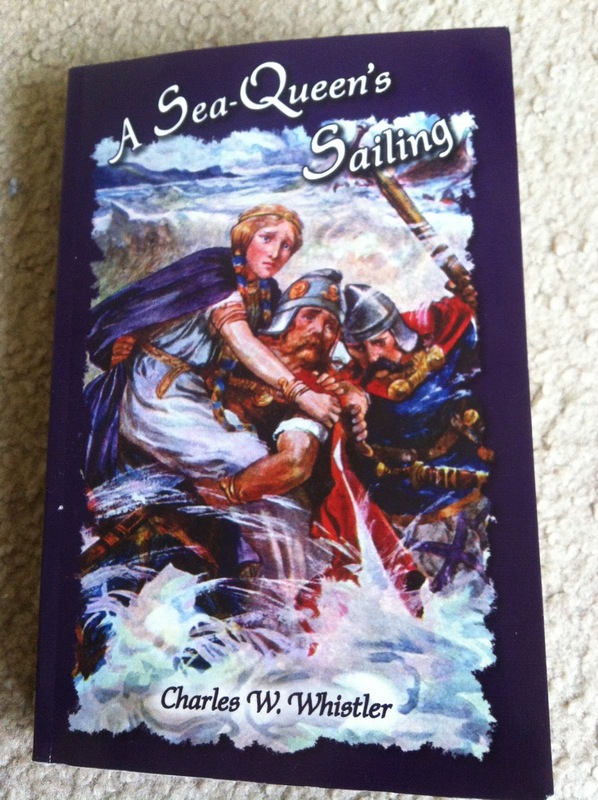 "A Sea-Queen's Sailing" (SQS) is one of their many Historical Fiction titles. Salem Ridge's website has a brief synopsis of each book, which lets you know the time period the story covers, and a brief introduction to the beginning of the plotline. SQS covers Scotland, Ireland, and Norway in 935 A.D. If you know any history about these countries, you will surmise that the story includes battles, vikings, sailing, and treasure...you would be correct! If finding quality books for your family is important, without the modern twist of the characters always having all the latest techno gadgets, you will appreciate Salem Ridge Press. They have several other quality titles, which other Crew families reviewed. You can find the link to those reviews at the bottom of this post. I appreciate several things about this book from Salem Ridge: These are lengthy books (SQS is 310 pages) so you can settle in to enjoy them, or chose a chapter a day for a family read-aloud time. The charcters are learning and being tested throughout the story, having to rely upon the honor and upbringing they were given by their parents. Chivalry may be dead in 2013, but you can bring it back to life in your own family by discussing the choices the characters are faced with, and their outcomes. I like that the characters in SQS are thinking about something, and someone, other than themselves. They know their families have traditions of honor and loyalty that they should be upholding, something that seems lacking in most modern literature. 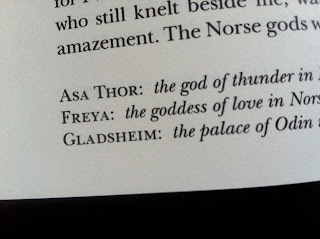 The story of "A Sea-Queen's Sailing" involves the young queen Gerda, a Scottish Jarl, an Irish prince, and an English thane, and their adventures being pursued by a Viking (pirate.) 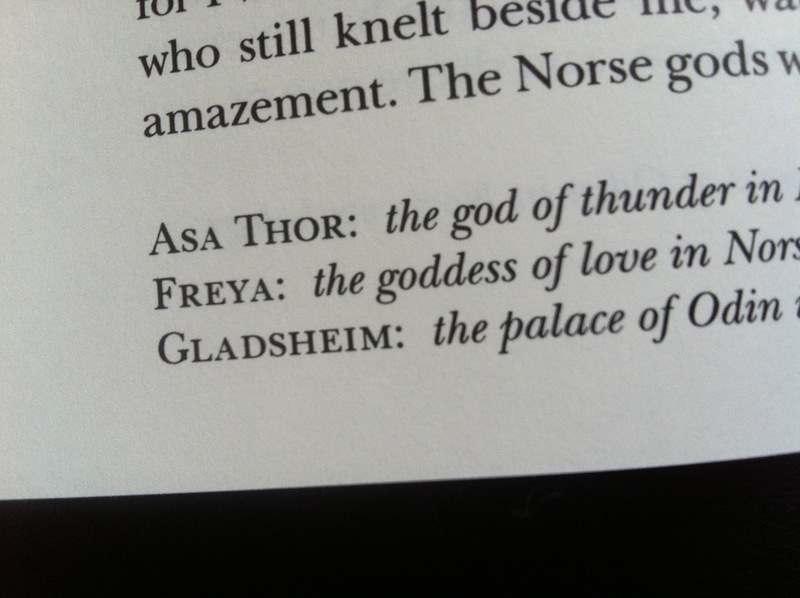 Arlene and I both appreciated the footnotes that are included the first time an unusual or archaic term is used. This helped us stay focused on the story, without having to dig out the dictionary. I liked the way the story is woven together, and how insights of the different charcters are drawn out at appropriate times. I really don't want to give the story away...so I'm not going to tell you anymore right now. Arlene read the book first, then I got a chance to read it. She had given me the plot outline when she still had 50 pages left, so she wouldn't spoil the ending for me! Since then, we have begun discussing the characters and the choices they had to make, both for their own safety and welfare, and for the good of their friends and remaining family. It is often easier to discuss those lessons from the characters in a book than in a face-to-face conversation. I'm looking forward to more talks about making quality choices with Arlene. I liked the book, but I think it really is geared for ages 14 and up, as the reading is of a higher level vocabulary than most 12 year olds would be comfortable doing themselves. It has adventure, and a little bit of romance. It would be good as a read-aloud for the older members of your family, but probably wouldn't make sense to little kids. The back of the book has previews of some of their (Salem Ridge Press) other books. Overall, we both enjoyed the book, and are looking forward to purchasing another title to read in the near future. SQS, originally published in 1906, retails today for $14.95. Money well spent. Just a quick post to let you know today I am thankful for a day off! The girls are having fun with Grandma, so I get to enjoy some much needed down time. Enjoy your day!